Hello everyone, I hope you’ve all had a fantastic Christmas and have been spoilt rotten! After recovering from a sickness bug which arrived just before the big day, I decided to spend the festive period relaxing with my family and Dan – hence the lack of blog posts, I’m sorry! The good news is, I was treated to LOTS of new makeup (and bought some new goodies for myself before Christmas) so I have a backlog of products to talk about! 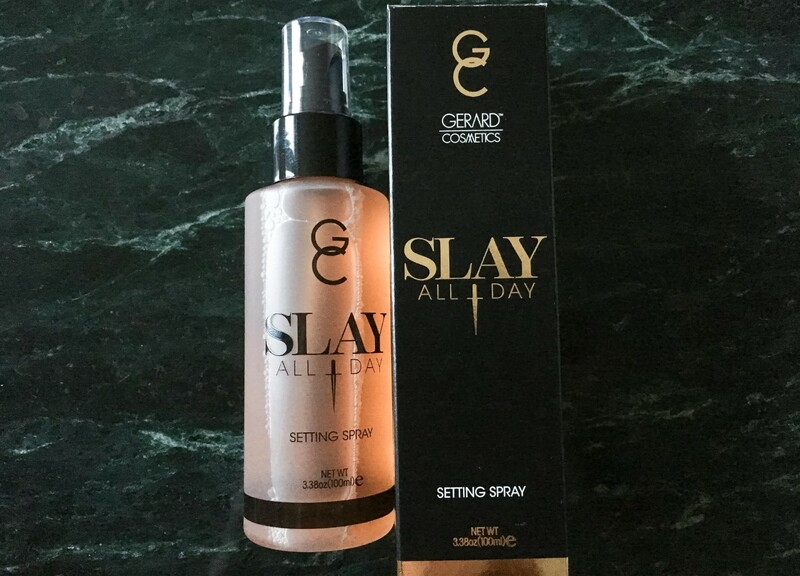 Today, I’ll be talking about the holy glory of fixing sprays; a product which I have been religiously using for the past three weeks, which has replaced my regular Make Up For Ever ‘Mist and Fix’ spray – Gerard Cosmetics Slay All Day. I chose the ‘Peach’ scent, as naturally I’m attracted to anything orange, but there are six other bright choices available, including: Cucumber, Grapefruit, Green Tea, Jasmine, Lavender and Lemongrass. Although a little sickly, the scent is also extremely refreshing – as is the slightly acidic tingle that the liquid produces when spritzing the face. The long-lasting effects are also undeniable – I find that 5 squirts of the pump entirely covers my face and holds my makeup in place for the duration of the day, result! I will definitely be purchasing some of the other scents, so if you have a favourite besides ‘Peach’, please comment your suggestions in the space below!